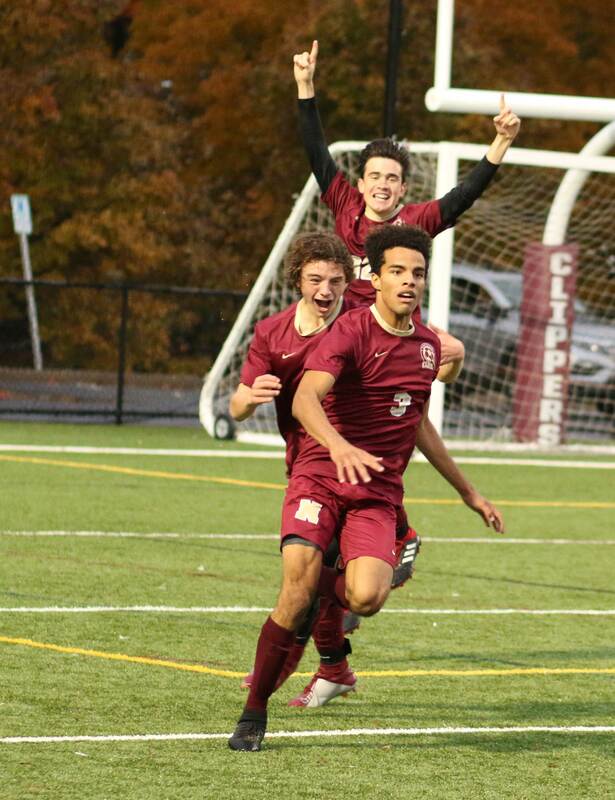 George Coryell said it to me after the game as the Newburyport Clippers took out Weston 2-1 in overtime on Friday afternoon. 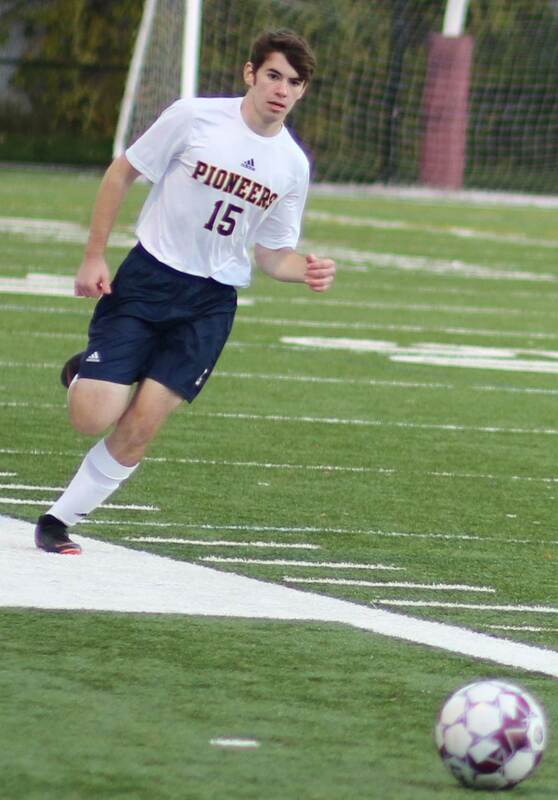 The Division 3 First Round win moves NHS (10-4-5) on to a rematch on the road on Sunday against the Pioneers. #1 seed Lynnfield promises to be a more motivated opponent than they were earlier this week in a 3-0 loss to the Clippers. 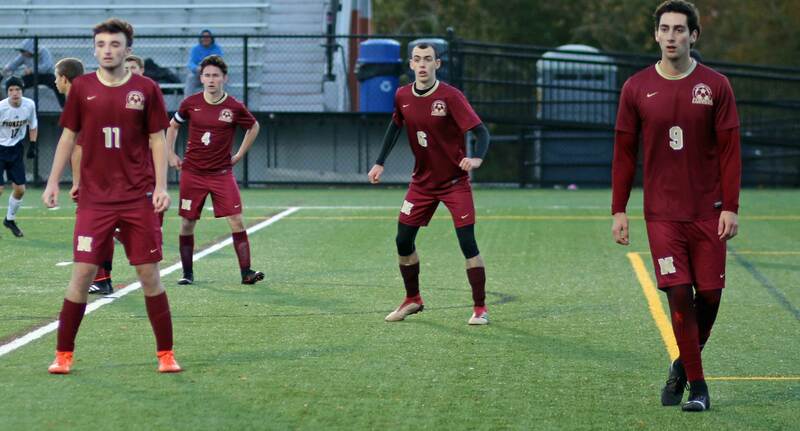 Entering that game, the Pioneers had already clinched the #1 seed whether they won or lost at Newburyport. Sunday’s rematch should have a much higher intensity level. 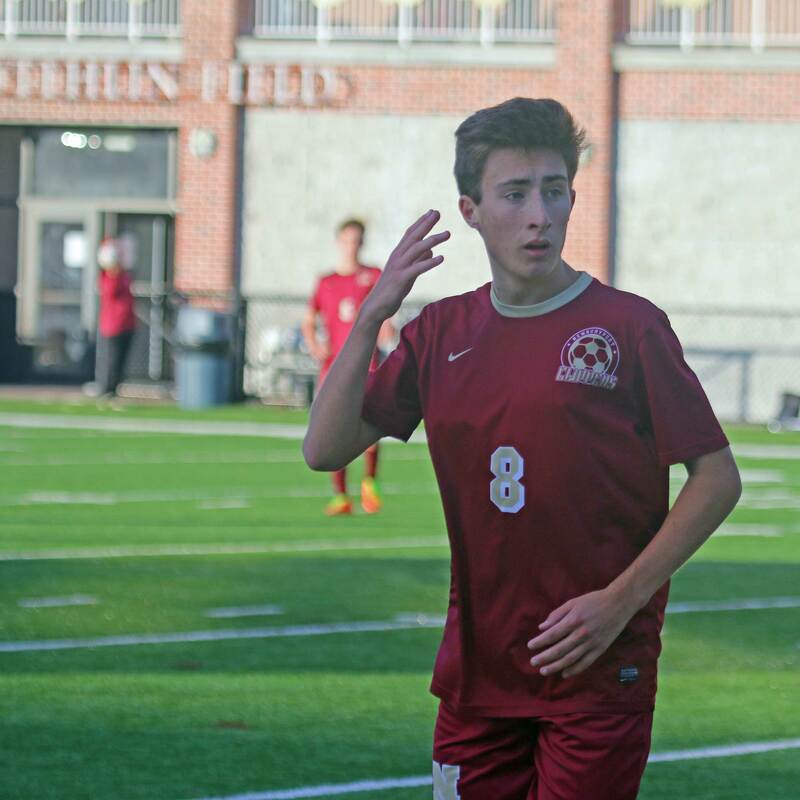 Senior George Coryell had two goals for #8 Newburyport. 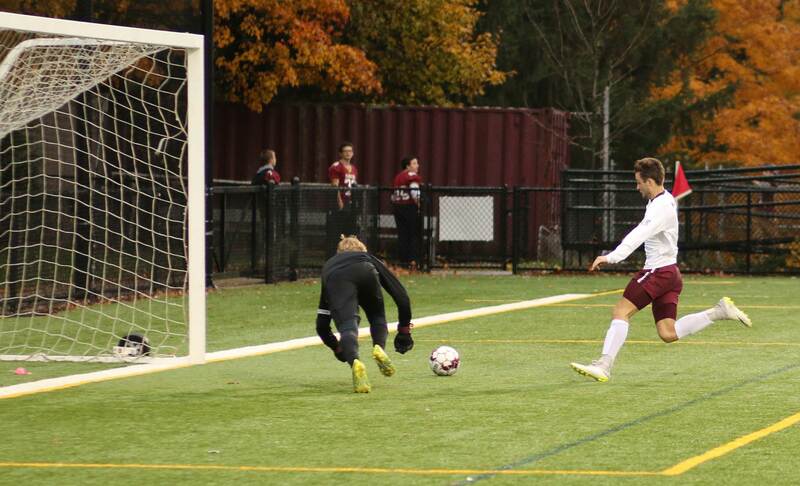 One tied the score in the second half and the other was the game-winner 5+ minutes into overtime. 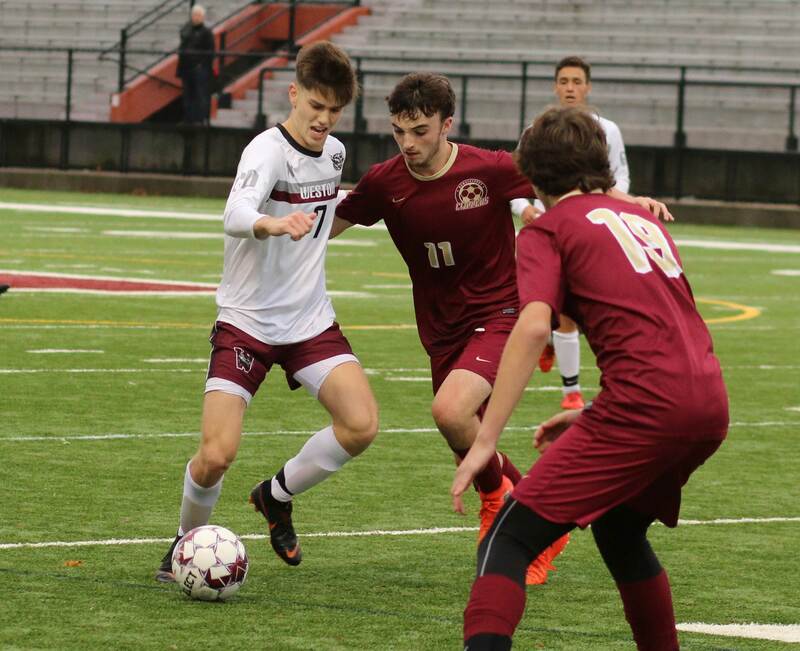 The Wildcats (8-7-4) took a one-goal lead on a rebound conversion by Clayton Mullen with seven minutes left in the first half. George scored the tying goal and how it happened was even a blur to him when I asked him about it. Opening up the attack meant loosening up their defense but on this afternoon the strategy was gold for the home team. 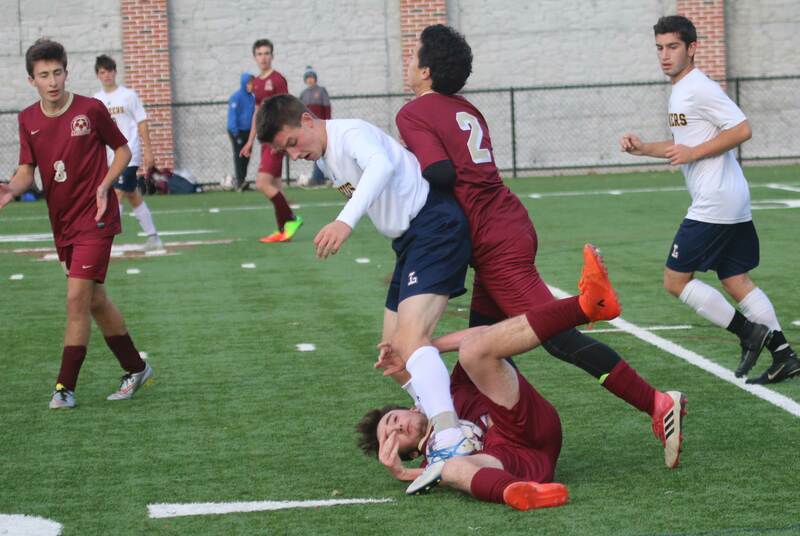 George’s game-winner followed a foot race with defender Andres Castillo. “We made a bad pass and they had the speed to take advantage of it,” said Coach Asparouhov. I will guess, based on what Jack Healy told me, that Max was the interceptor as well as the one who sent George on his way to the game-winner. 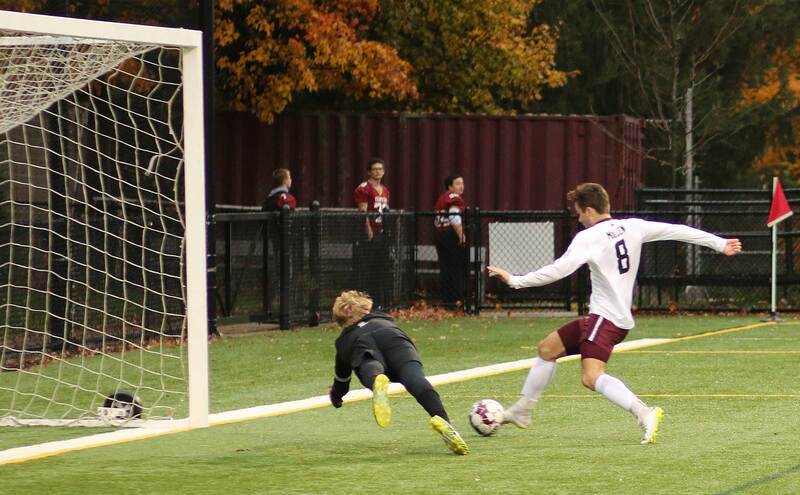 George gained separation from his defender and slid the ball past onrushing Weston GK Edward Pomianek. “It feels good to get a win in the playoffs,” said Jack Healy afterwards. 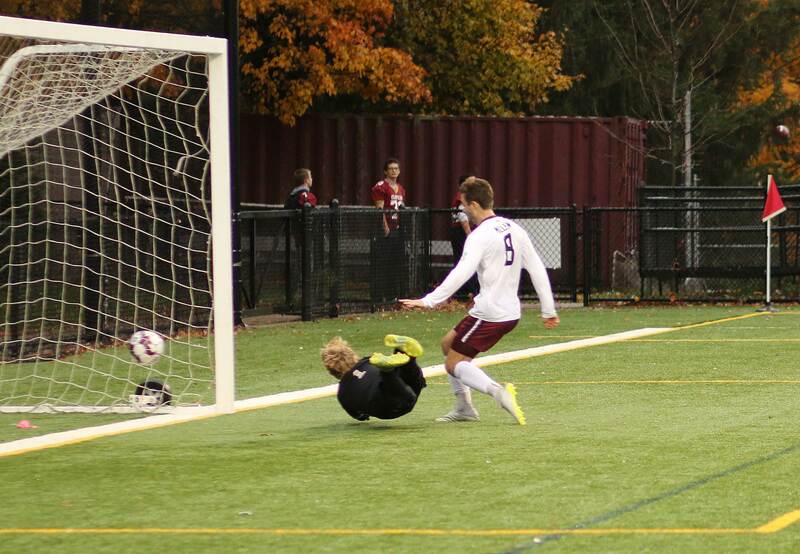 The Clippers lost 1-0 to Bedford in the first round last year. 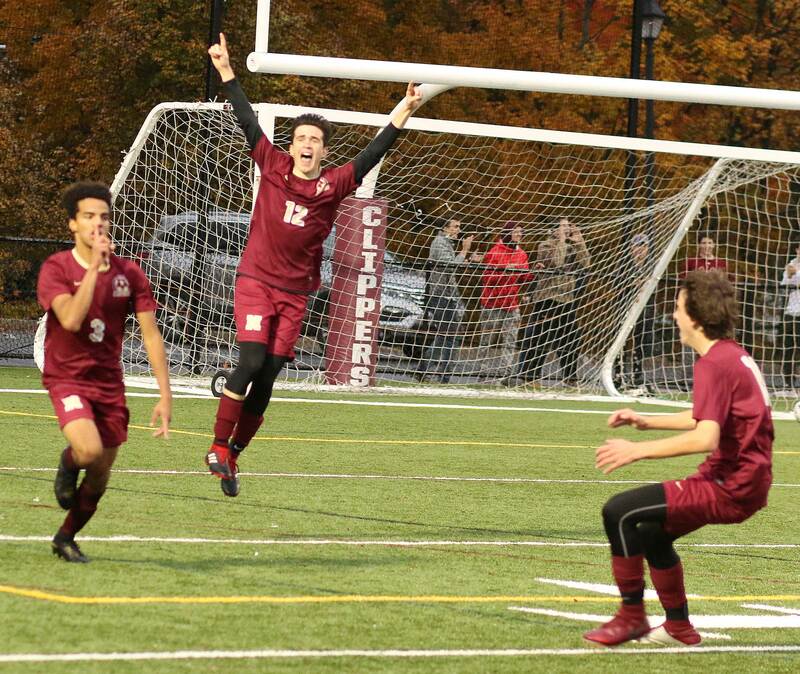 Prior to that, the last Newburyport playoff win was in 2012. 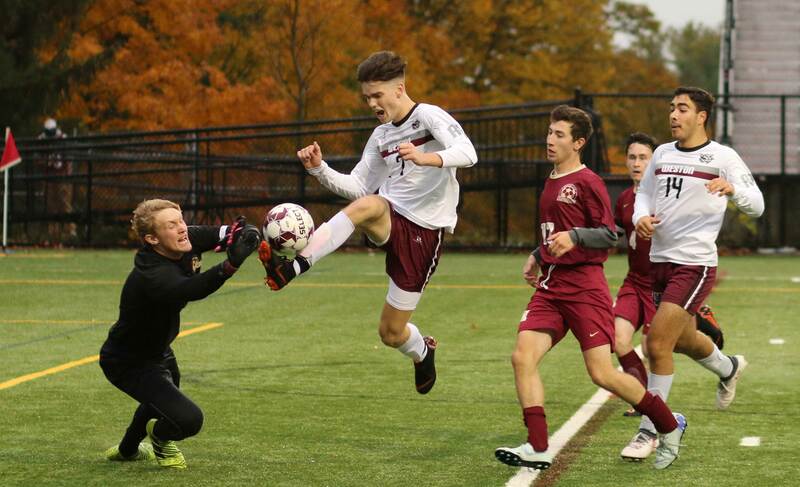 Newburyport goalie Aiden Guthro won’t have fond memories of the Weston goal. On that goal, Brian Hall took a hard shot from the left. 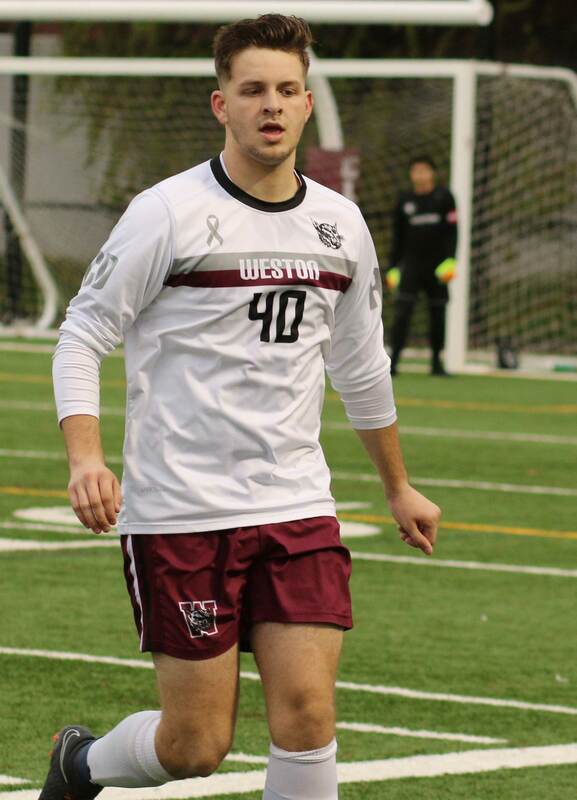 The normally sure-handed goalie (Cape Ann League All-Star) had the ball go through his hands and there was Weston’s Clayton Mullen rushing in looking for just such a rebound. In the net it went. “I’m glad that the goal didn’t decide the game. 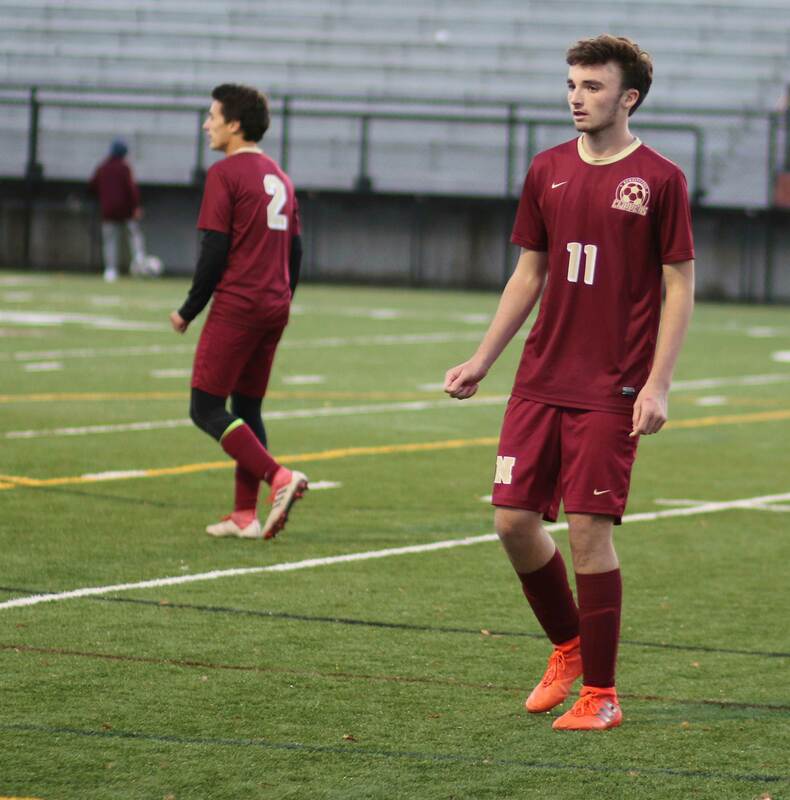 Aiden will get to play some more,” said Coach Bleau. The game was physical at times. A number of times the Wildcats questioned non-calls. 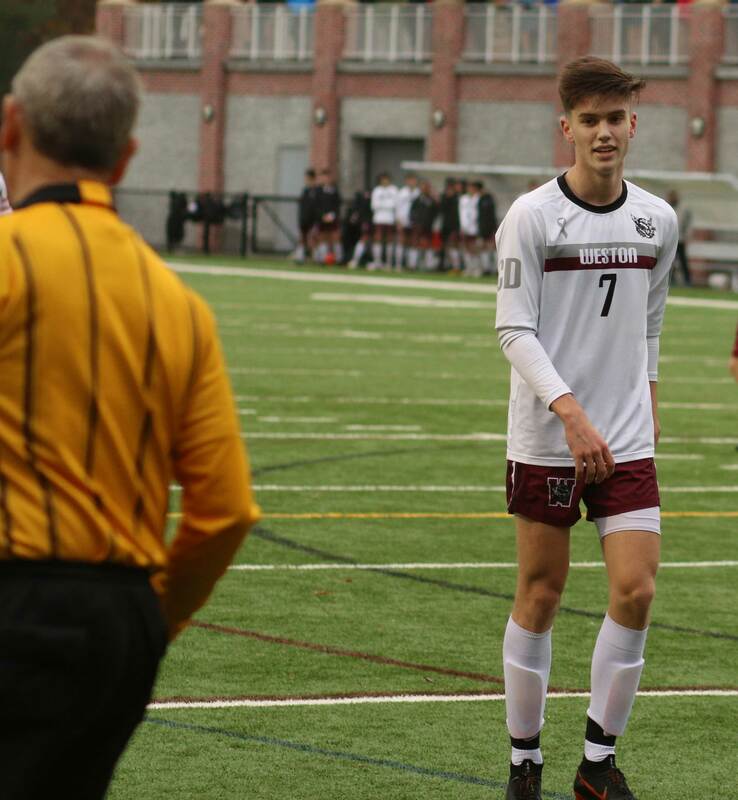 With 7:24 left in regulation, the referee called time and brought the captains and the coaches together and sorted out how the rest of the game would, and would not, be played. It seemed to settle things down. On one of my pictures of George Coryell, in the final rush to get a shot the defender clearly has a handful of his shirt. Very impressed with Weston’s Brian Hall. The senior had the size and athleticism to create trouble in the box. He was in GK Aiden Guthro’s space several times as my pictures show. The teams did their post-game handshake after regulation instead of trying it after an exciting/devastating overtime ending. Mild temperatures (50’s) with occasional drizzle. Football game, also against Weston, was slated for later in the evening. 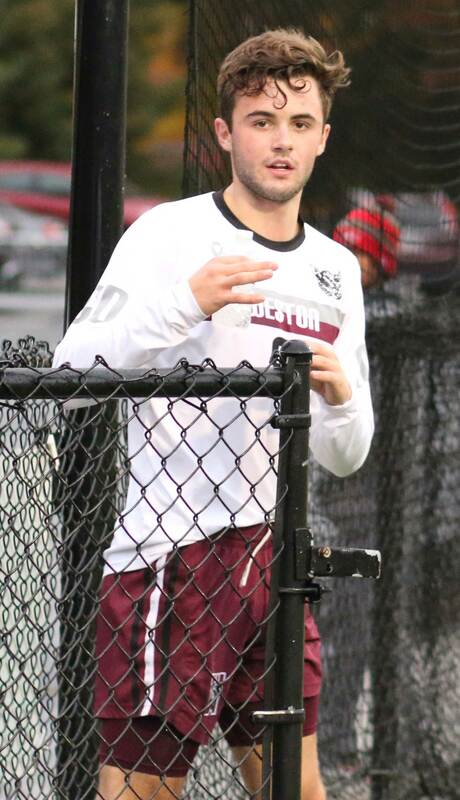 Weston plays in the Dual County League while Newburyport is in the Cape Ann League. 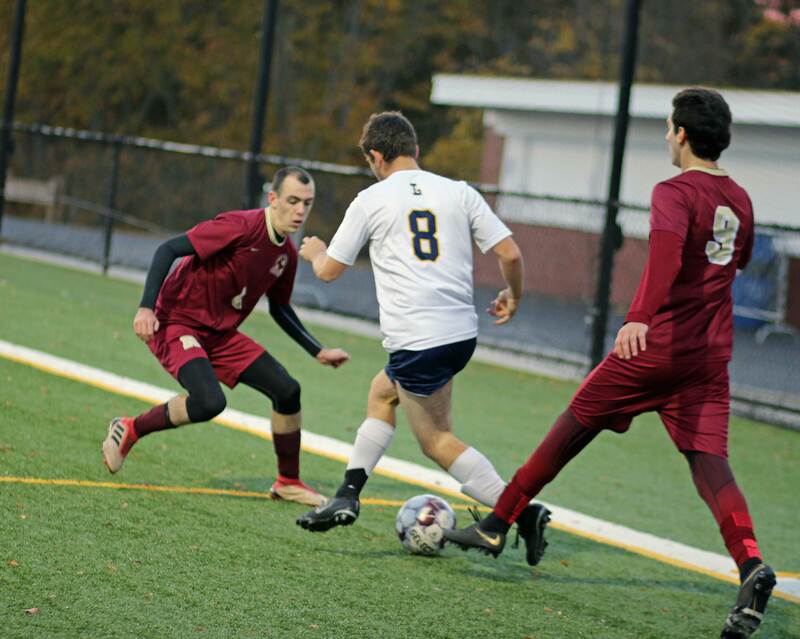 (Newburyport MA) A win would have given Lynnfield the most wins they’ve ever had in a season. 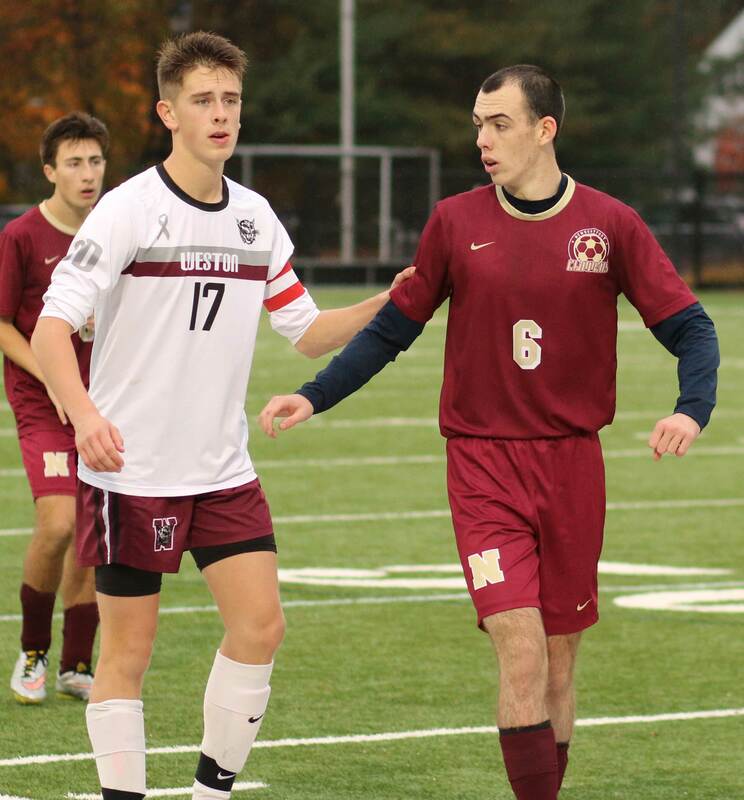 But there was a bigger picture, and that changed the tone of today’s matchup with Newburyport. The seedings for the post-season tournament are in and Lynnfield is #1. That position would not be affected by this afternoon’s game. The Clippers also had a position in the tournament sewn up too. So you had two teams in their own versions of “spring training” mode. 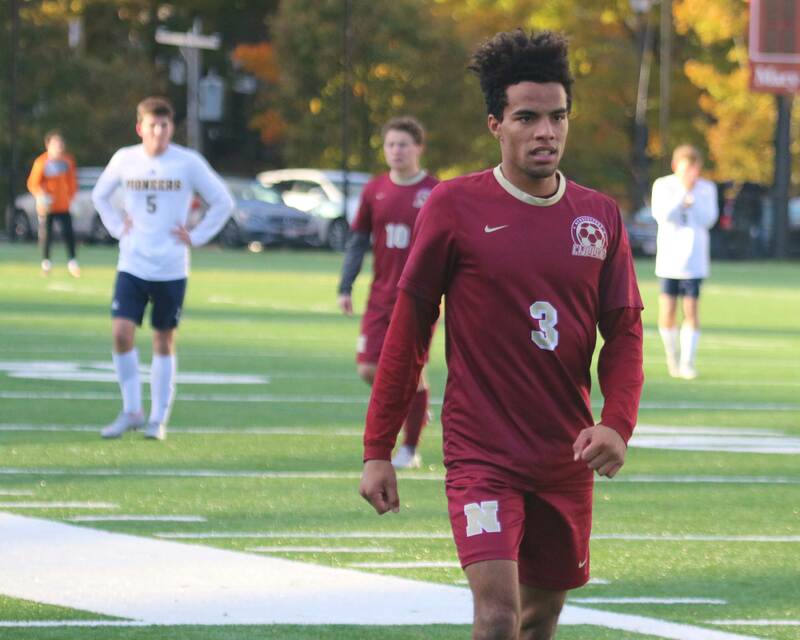 Newburyport won the game 2-0 getting second-half goals from Andrew Moreland and Ronan Harrington. 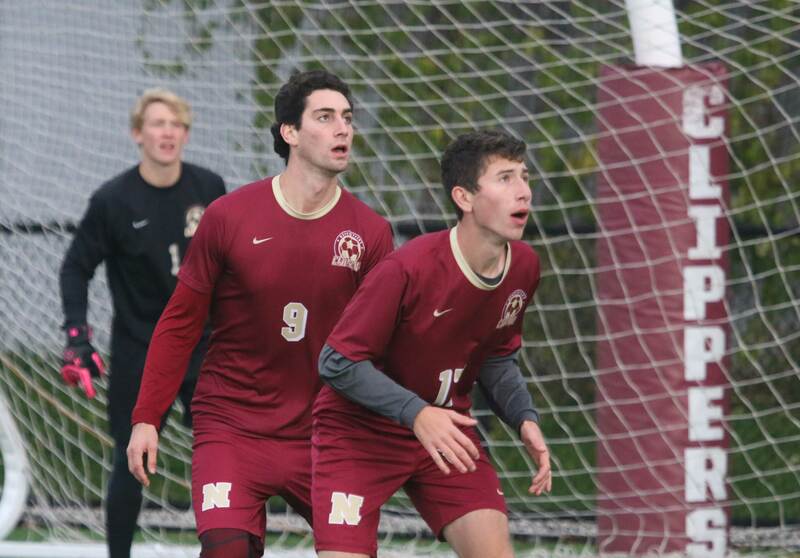 The Clippers (9-4-5) had lost 3-0 to the Pioneers (14-2-2) in September. 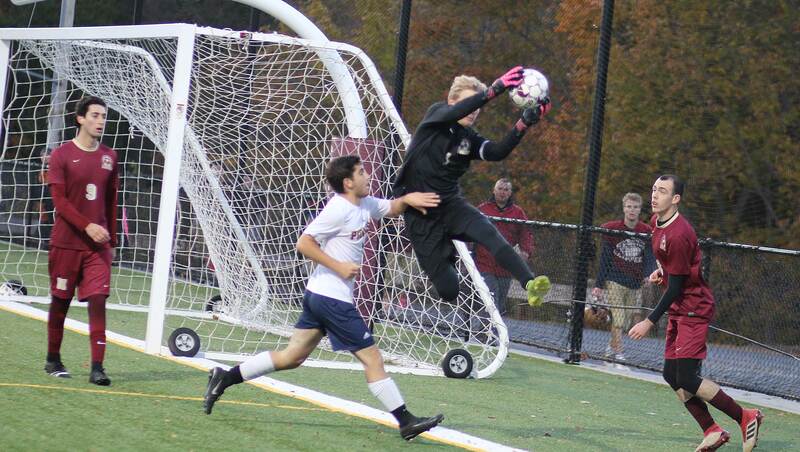 “That loss fueled us to come back here and play better,” Newburyport goalie Aiden Guthro told me afterwards. 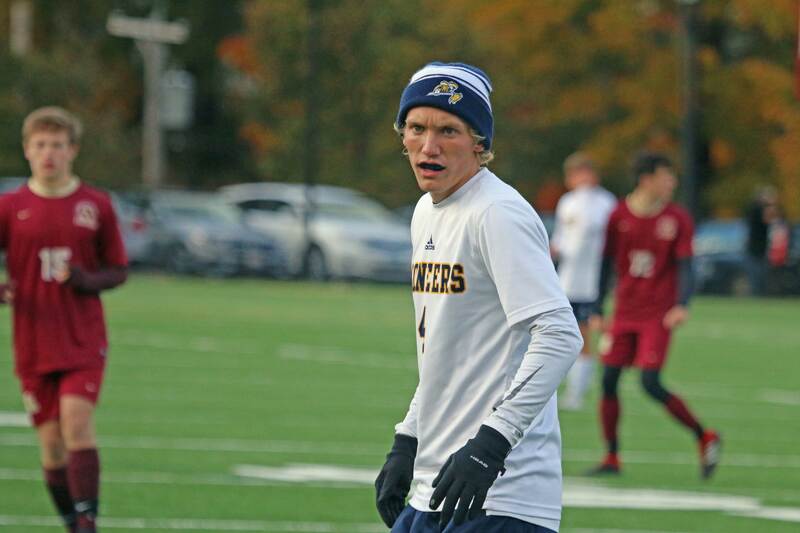 The most dangerous of the Lynnfield forwards was senior Nate Bass. He was a master at winning 50/50 balls and dribbling past players. His best chance was a break-in from the right in the second half. Aiden came out to challenge, and may have deflected the shot, as it rolled just wide left late in the game. While the Clippers may have had fewer chances, they did cash in two of them. 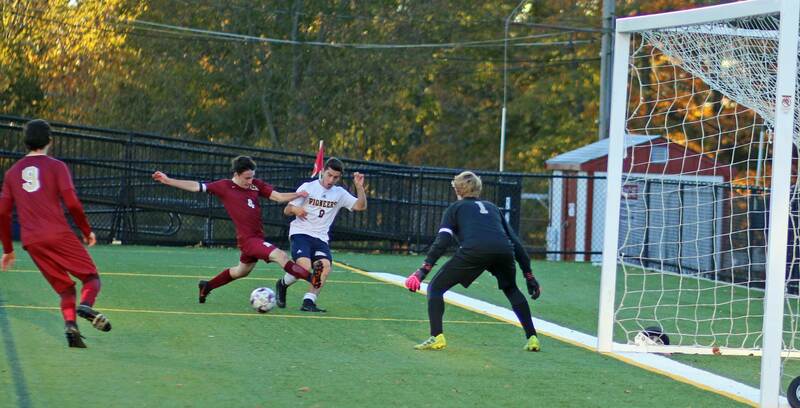 Lynnfield carried the play after Newburyport’s first goal but couldn’t find the equalizer. In the last two minutes the Clippers were awarded a free kick from straightaway. Senior Ronan Harrington took the kick. Ronan sent his shot into the same upper corner that Andrew Moreland had earlier. The Clippers came away with a satisfying 2-0 win. 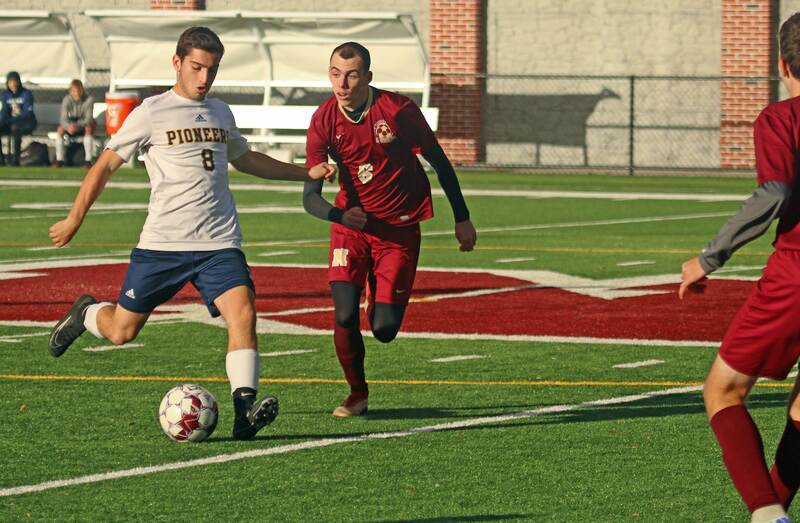 The Pioneers had gone nine straight games without a loss prior to today’s game. The Clippers haven’t lost in six of their previous seven games. 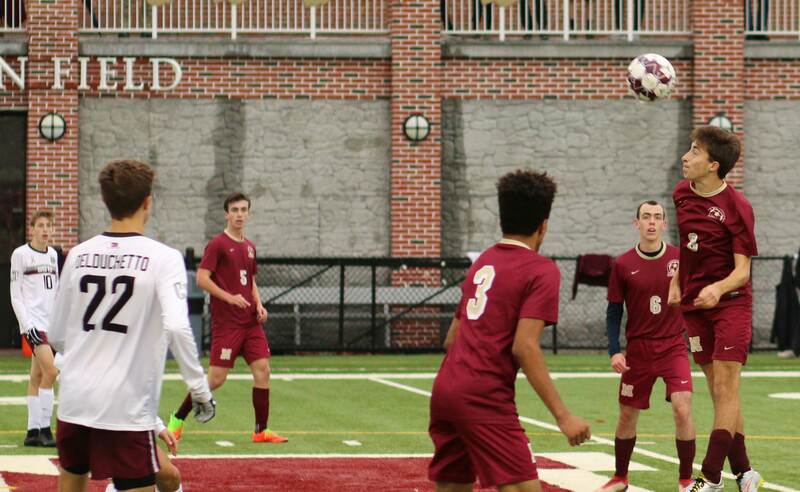 Newburyport’s stadium is a terrific place to watch a soccer game with its elevated viewing on both sides. I was on the turf surface which is also very good. I wanted to talk to Newburyport coach Shawn Bleau after the game, but he “opted” to go to the parent/teacher open house being held indoors. As a former teacher, I know that there are some things you don’t miss! Over the past five years against each other, both teams have won three times and lost three times and there have been four ties. 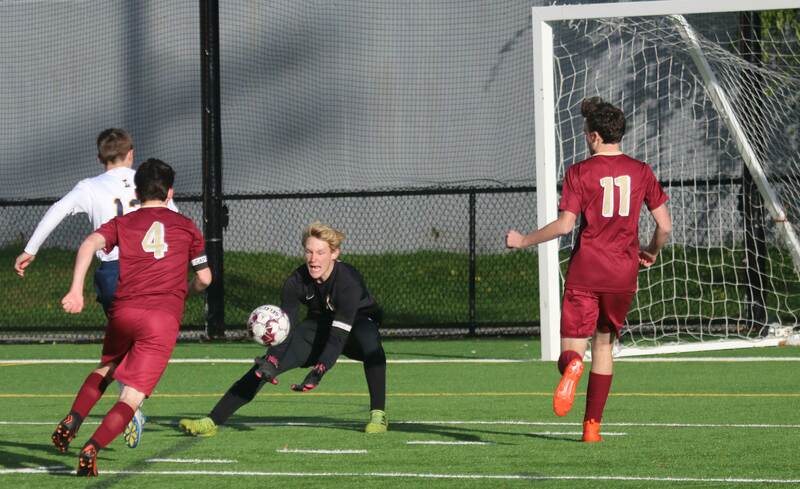 The shutout was GK Aiden Guthro’s ninth of the season. 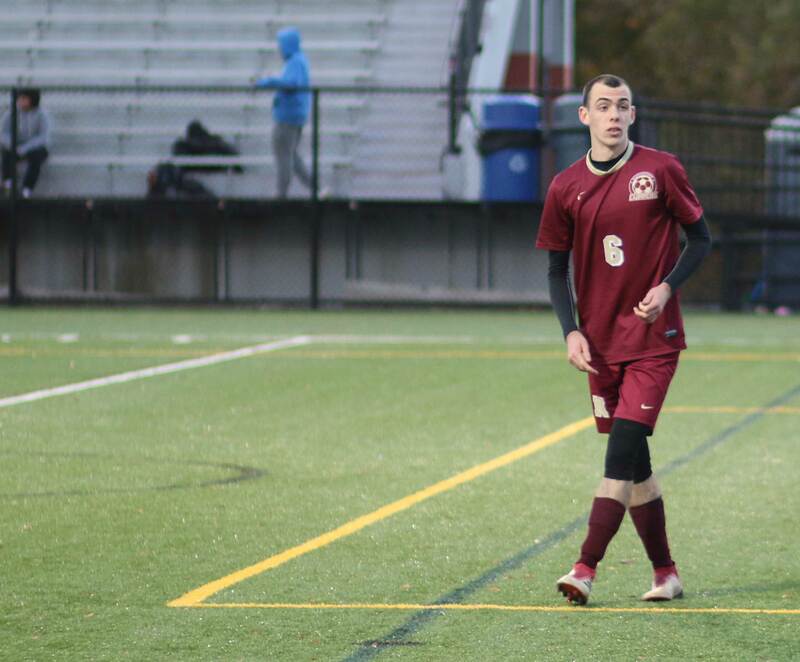 He holds the Newburyport career shutout record with twenty-three of them.